This is a book that will alternately break your heart and piss you off. It’s the story of the man who was described as the greatest alto saxophonist of the post-Charlie Parker generation, at the same time a willfully self-destructive heroin addict who, time after time, chose his drugs over his art. That Art Pepper had a musical career at all should probably be considered something of miracle. His mother, a 14-year-old runaway, did her best to abhort the child, using excessive amounts of alcohol and drugs. Failing at that, she unloaded the baby on his paternal grandmother and moved on. (Pepper’s father was a merchant seaman and raging alcoholic, with whom the young Pepper had scant contact.) When the child expressed musical interest, though, his grandmother arranged for clarinet lessons beginning at the age of nine. At 13, he switched to alto saxophone, the instrument that became central to a career that placed him in the bands of Benny Carter, Stan Kenton, Shorty Rogers and Buddy Rich, and on bandstands with Elvin Jones, Freddie Hubbard, Zoot Sims, Red Garland, Paul Chambers, Philly Joe Jones, Mel Lewis, Wynton Kelly, Jimmy Cobb, Roger Kellaway and Billy Higgins, among others. It was a career that was interrupted repeatedly by prison terms, including two at San Quentin, all stemming from drug-related offenses, among them armed robbery. Such was the power of his addiction that, even after months and years in prison, he would return again and again to his habit. In one notable incident, on the very day of his release, he went directly to a gas station, robbed it, and used the money to buy heroin. The reader can’t help but be frustrated and dismayed at such a waste of talent. 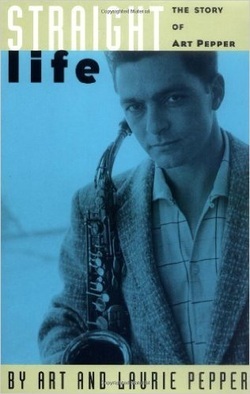 With its focus on the self-destructive spiral that was Art Pepper’s life, the book offers little insight into his music. For that, we need to turn to his recorded legacy, where it’s revealed that, remarkably, the quality of his playing remained high throughout his lifetime.